Furniture designers must be one of the most creative people around today. Designing something new, fresh and original in the world of furniture, which has seen it all and done it all, is an achievement that requires a lot of skill. 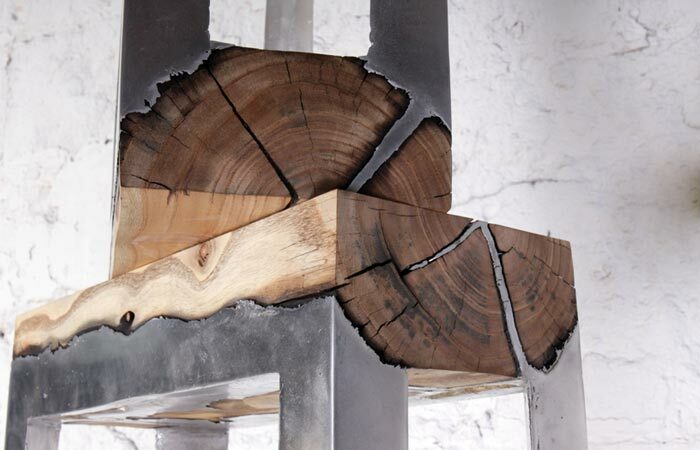 Take a look at Wood Casting furniture, designed by a great Israeli artist and designer Hilla Shamia, and you’ll know what we are talking about. 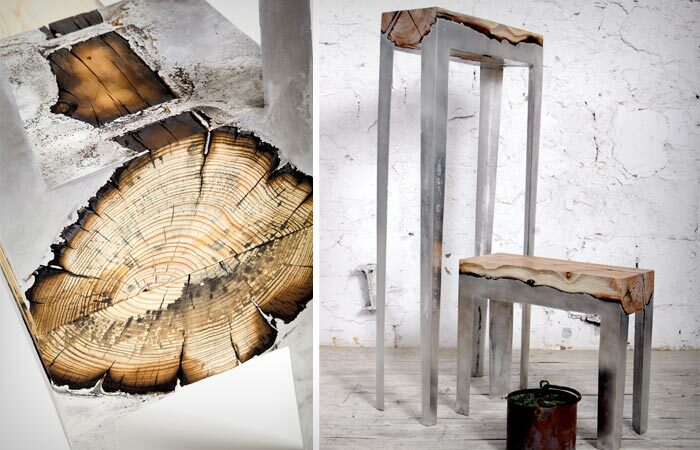 Wood Casting furniture series (stools and desks) is a combination of aluminum and wood with the latter one resembling burnt wood, adding a bit of edge and drama to the pieces. 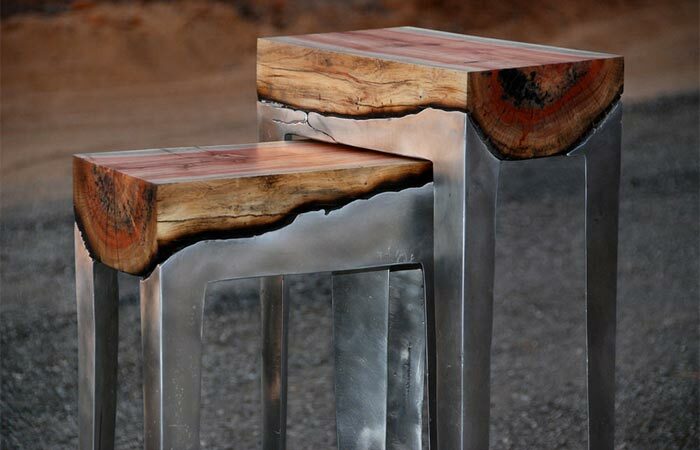 The amalgamation of aluminum and wood in Shamia’s furniture pieces makes a rather bold statement and accentuates the natural form of wood, placed within the explicit boundaries of aluminum.